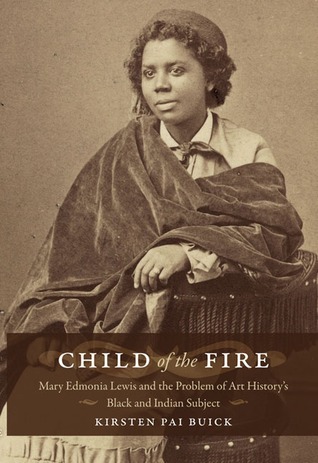 Kirsten Pai Buick, AB'85AuthorChild of the Fire is the first book-length examination of the career of the 19th-century artist Mary Edmonia Lewis, best known for her sculptures inspired by historical and biblical themes. Throughout this richly illustrated study, Kirsten Pai Buick investigates how Lewis and her work were perceived, and their meanings manipulated, by others and by the sculptor herself. Buick argues against the racialist art discourse that has long cast Lewis's sculptures as reflections of her identity as an African American and Native American woman who lived most of her life abroad. Instead, by seeking to reveal Lewis's intentions through analyses of her career and artwork, Buick illuminates Lewis's fraught but active participation in the creation of a distinct "American" national art, one dominated by themes of indigeneity, sentimentality, gender, and race. In so doing, she shows that the sculptor variously complicated and facilitated the dominant ideologies of the vanishing American (the notion that Native Americans were a dying race), sentimentality, and true womanhood.Buick considers the institutions and people that supported Lewis's career--including Oberlin College, abolitionists in Boston, and American expatriates in Italy--and she explores how their agendas affected the way they perceived and described the artist. Analyzing four of Lewis's most popular sculptures, each created between 1866 and 1876, Buick discusses interpretations of Hiawatha in terms of the cultural impact of Henry Wadsworth Longfellow's epic poem "The Song of Hiawatha," Forever Free, and Hagar in the Wilderness in light of art historians' assumptions that artworks created by African American artists necessarily reflect African American themes and The Death of Cleopatra in relation to broader problems of reading art as a reflection of identity. Kirsten Pai Buick - Kirsten Pai Buick, Ph.D is an associate professor and Chair of the Department of Art and Art History, University of New Mexico (Albuquerque, NM). She was formerly a lecturer at the Art Institute of Chigaco (IL).